Not just an Honda Jazz with a pair of wellingtons. Like I said in my Maruti Ignis review, compact crossovers are the new fad in India. At the price of a sedan or a generously-spec'd hatchback, there are crossovers that are bolder, more practical and nearly as fuel-efficient, easily luring customers to splurge on one. Honda may have been in the crossover game since 2004 with the reliable and rock solid Honda CR-V, but it took 11 years for Honda India to add another crossover to its portfolio - the Honda BR-V. Despite the capacious cabin and 7-seater option, the BR-V did not manage to set the cash registers ringing, leaving Honda badly in need for a new product to grow the company. 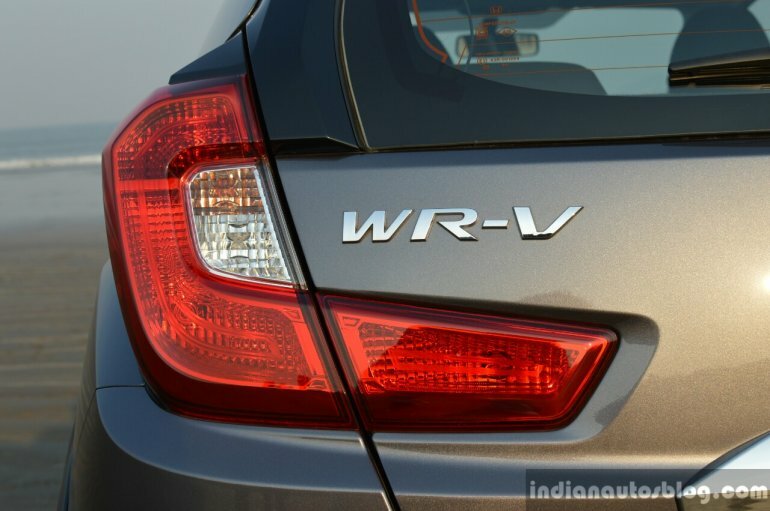 The Japanese manufacturer is betting big on the WR-V's success in India, and have pulled out all the stops to give it a unique identity, rather than ride on the Honda Jazz's reputation in India. 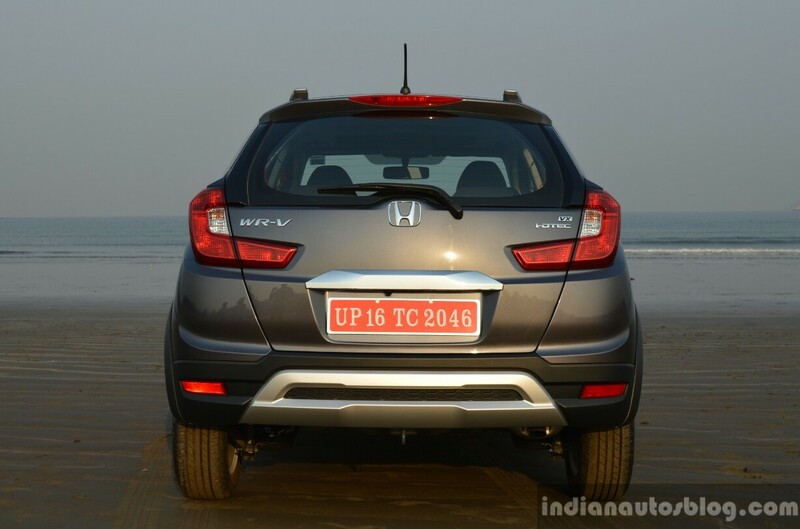 We were invited for a brief test drive of the Honda WR-V in the scenic parts of North Goa. Here's our first drive review. When it comes to hatchback-based crossovers, some manufacturers take the lazy approach of slapping the usual crossover bits, change the upholstery colour, raise the clearance and call it a day. I had expected Honda to follow the same path when rumours of a new Jazz-based crossover were circling. I was in for a surprise. 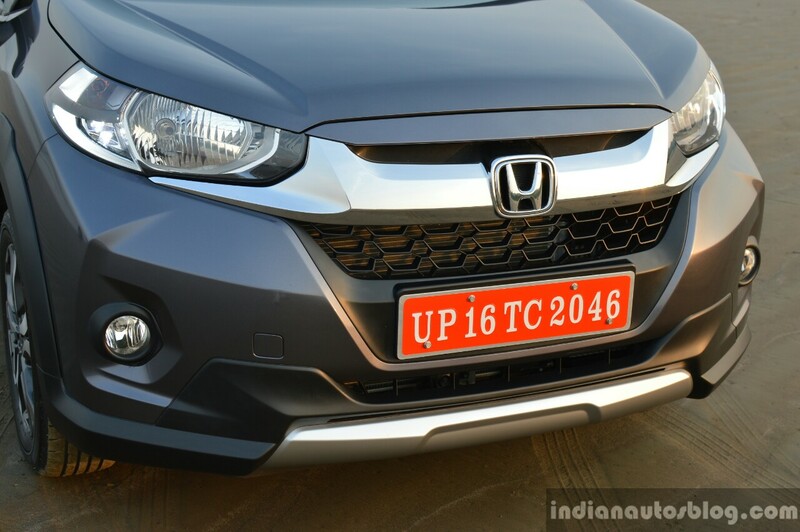 Honda has done a great job of creating a design that helps the WR-V forge a new identity in the market, thus keeping a good distance from the Jazz. It is 44 mm longer, 40 mm wider and 57 mm taller and has a 25 mm longer wheelbase than its hatchback sibling. The only flak I have with the WR-Vs exterior is the set of wheels. While the dual tone alloy rims match with the tough exterior, the stock tires could've been a bit chunkier. It gets rid of the Jazz's sedate front fascia for a brand new design that has the appeal of an angry, full-grown warthog; it is small, but a warthog can be aggressive and capable of putting up a fight with larger animals. The WR-V is probably the most rugged-looking Honda in the Indian portfolio, making its bigger siblings, the CR-V and BR-V, look a bit placid. The interior, however, isn't as distinctive as its exterior. Visually, the only difference to Jazz VX is the choice of upholstery on the door cards and seats: it comes with black fabric upholstery contrasted by white stitching and patterns. The quality of construction and materials used are also identical to the Honda Jazz. 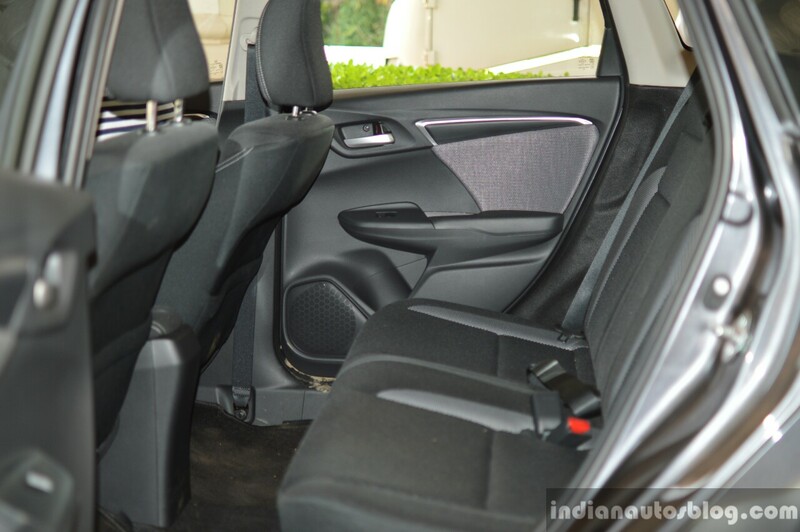 As with any Honda, the space inside WR-V is top notch. With the front seats set for my tall frame, there was a good amount of knee room to spare, while headroom was as plentiful as on the driver's seat. Also, because of the higher ground clearance and doors that open 90 degrees, entry and egress into the WR-V is an effortless task. 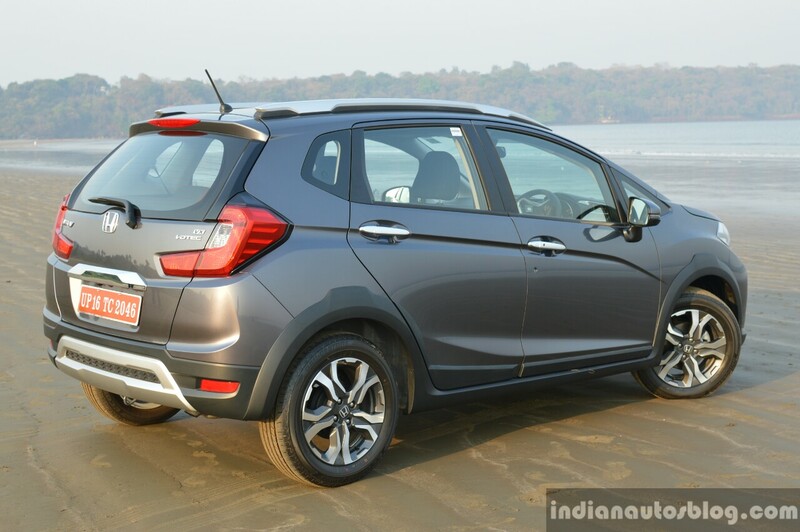 However, practicality takes a step back as it loses the Jazz's unique Magic Seats, even in the top-end model. When asked about the absence of Magic Seats, Honda retorted that it was a low priority feature in the market. What can be considered as a sort of compensation is the first-in-segment sunroof option, which is a favourite feature among car buyers. 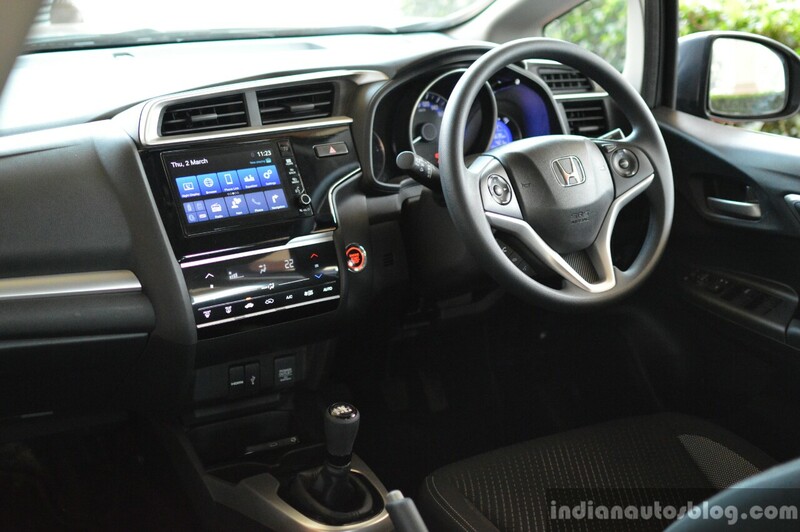 Also new in the WR-V is the excellent 7-inch Android-based DIGIPAD touchscreen system, which was first seen in the 2017 Honda City (facelift). The screen and its buttons sit flush with the centre console, lending a cleaner look to the Jazz-sourced dashboard. Other standard equipment fitted to our VX diesel test car included a start/stop button with keyless entry and cruise control which, interestingly, weren't present in the WR-V VX petrol version. Dual airbags and ABS have been made standard across the range, highlighting Honda India's focus on passenger safety. At launch, the Honda WR-V is available with a choice between a 1.2L i-VTEC petrol motor and a 1.5L i-DTEC turbodiesel lump, both sourced from the Jazz. 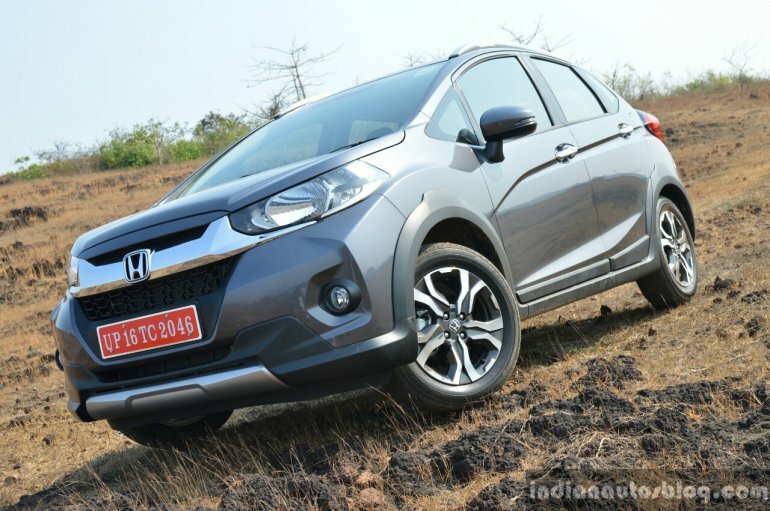 Honda chose not to take the Earthdreams CVT unit from the Jazz too, so the WR-V's transmission options are 5- and 6-speed manual gearboxes for the petrol and diesel variants, respectively. 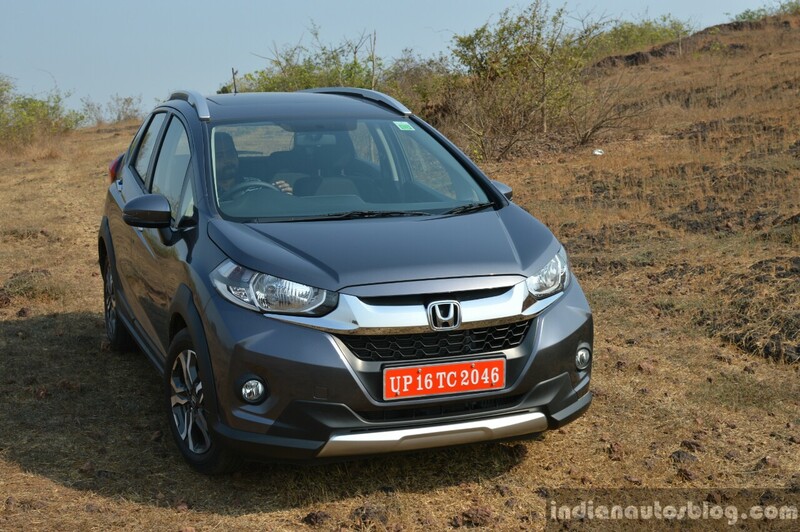 Let's start with the Honda WR-V's 1.2 petrol. The i-VTEC unit produces 90 PS at 6,000 rpm and 110 Nm of torque at 4,800 rpm. To put it briefly, it is a bit underwhelming. While the engine has excellent NVH levels, creamy smooth delivery of power and a good exhaust note at higher rpm, the output is just not enough. This may not be an issue if your trips are limited to city roads, as its got decent low-end response and a light clutch to play with. 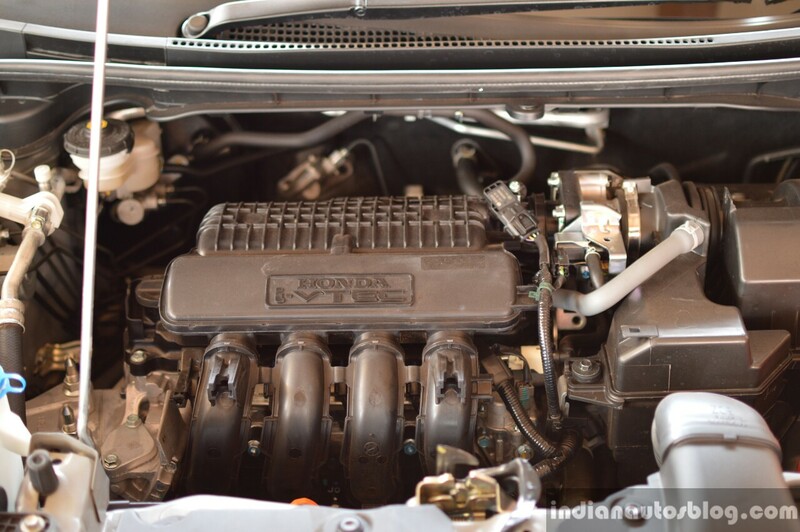 Buyers who prefer engine refinement over power will find the petrol variant more appealing. However, on highways, be it single or dual carriageways, you may scream for more power. As you have to keep shifting to down to access power at higher rpms, it is good that Honda equipped a newer 5-speed manual gearbox exclusively in the WR-V, featuring shorter ratios for better low-end response. It has short throws, precise slots, and shifts to the next gear with a delightful click. The 1.5 i-DTEC diesel motor trades refinement for power. It outputs 100 PS and 200 Nm of torque, sent to the front wheels via a 6-speed manual gearbox. The engine characteristics are similar to diesel variants of the Jazz and City; torque delivery is linear across the power band, so outright acceleration may not feel exciting but a peek at the speedometer would reveal that you have already hit law-breaking speeds. 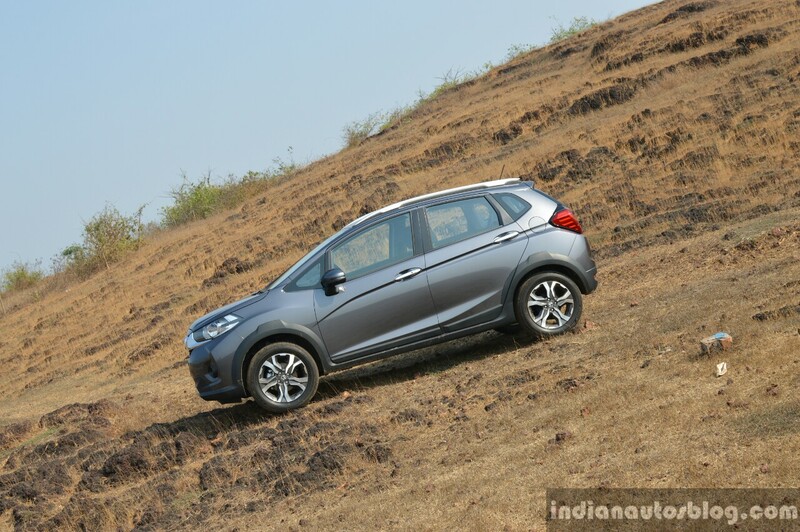 As with most diesel-powered compact cars, highway drivability of the WR-V diesel is much better than its petrol counterpart. Cruising at 100 km/h in 6th gear allows the engine to relax at around 1,800 rpm, thus subduing the crass engine noise to a minimum. It also lets you reach (sometimes surpass) Honda's claimed best-in-class average fuel mileage of 25.5 km/L. The WR-V's suspension offers supple ride quality, ironing out jerks from speed bumps and potholes with relative ease. The suspension package and 188 mm ground clearance inspire confidence to take it for a mild offroad adventure, which we did, and the WR-V fared pretty well. On twisty tarmac, the WR-V exhibits good composure and minimal body roll, offering decent grip from the 195/60 Bridgestone Ecopias. Honda may have taken its time to introduce a hatchback-based crossover in the Indian market, but from our brief test drive, we can say that it was time put to good use. It is not just simply an Honda Jazz with a pair of wellingtons. We are impressed with the WR-V's butch exterior styling, the list of features in the VX grade, and upgraded suspension package that inspires confidence to drive fast on rough terrain. 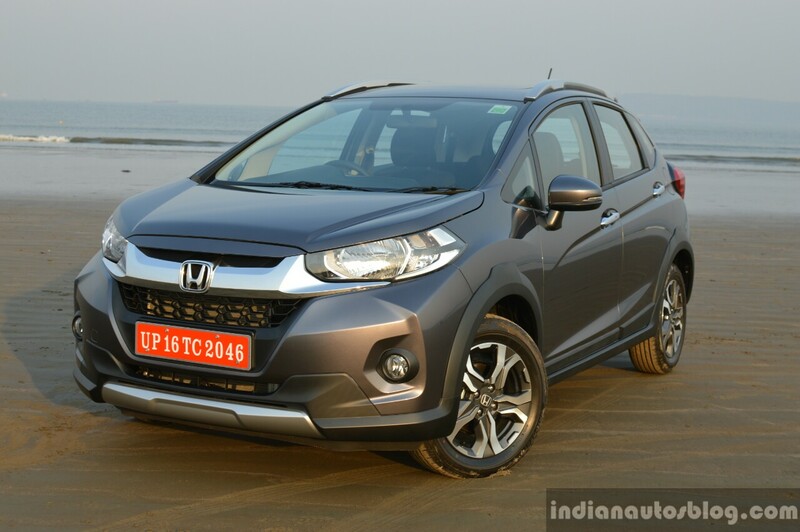 Combine these positives with the Jazz's USPs, and the Honda WR-V becomes an appealing option, if you can look past the i-VTEC petrol motor's sluggish output and i-DTEC turbodiesel engine's average NVH levels. The WR-V will be sold in two grades: S and VX. Expect prices to range between INR 6.8 Lakhs - INR 10.4 Lakhs (ex-showroom), which may be close to the Honda Jazz's pricing, but still sound steep, considering that it's knocking on doors of sub-4m SUVs like the Maruti Vitara Brezza and Ford EcoSport, let alone its closest rivals: the Hyundai i20 Active, VW Cross Polo, Toyota Etios Cross and Fiat Urban Cross.